A specialist program created for body care designed for demanding customers. The line of products recommended to use before and/or after aesthetic medical treatments (liposuction, injection and laser lipolysis, etc.) to prolong and sustain the results. The combination of medically-selected active ingredients at optimum concentrations and non-standard formulas are the foundation of multidirectional action to ensure firm, moisturized and smooth skin without visible signs of cellulite. Lipout™ – an active ingredient based on the latest scientific findings on adipocyte activity – stimulates the conversion of fat cells from an inactive form, which stores fat to the active form, resulting in a much faster process of thermogenesis. 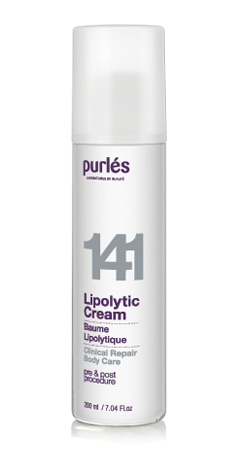 Clinical Repair Body Care instantly improves skin condition by stimulating metabolising and fat burning processes.